For more than 35 years, Stone Bond Construction Inc. has been the premier choice for epoxy stone flooring and decorative concrete in Hickory, North Carolina and surrounding areas. As a family owned and operated business, Stone Bond provides high quality workmanship with a constant focus on customer satisfaction. 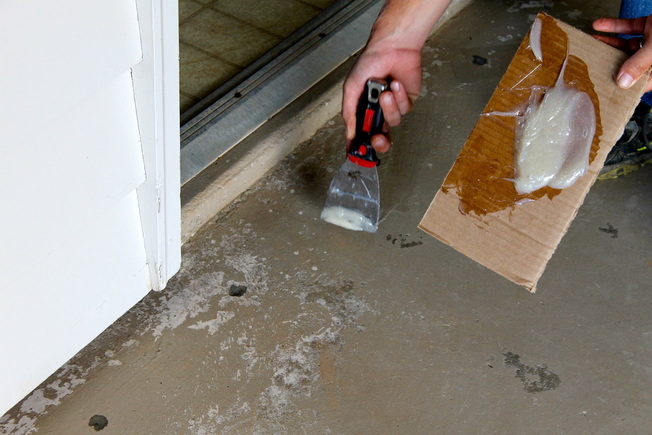 Whether we are installing stamped concrete, epoxy stone, or a vinyl chip floor, our team works hard to give each individual project the attention it deserves. Our weather resilient flooring options can be used to replace existing concrete work or in an area where there is no concrete currently in place. We pride ourselves on using only the best materials including genuine quartz stones and a proprietary blend of epoxy that is exclusive to Stone Bond Construction Inc. Over the years, our flooring solutions have been used in a variety of settings. Epoxy stone, stamped concrete, and vinyl chip flooring are popular choices for driveways, sidewalks, pool decks, garage floors, basements, commercial spaces, schools, and churches. 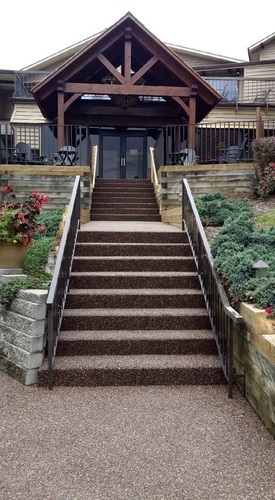 Stone Bond Construction has provided flooring solutions for many businesses and community organizations. From the Hickory Crawdads stadium to the newly renovated Transportation Insights building, you can catch a glimpse of our workmanship around every corner. Browse our photo gallery to get a closer look at some of our recent installations and find new ideas to use for your home or business. 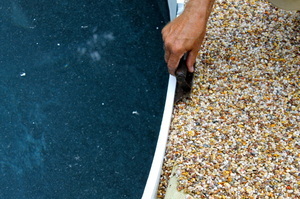 Whether you're looking to resurface your driveway or add a stunning new deck around your backyard pool, we can help. Contact us today to request a free estimate or to set up a time to view flooring samples in person. Don't forget to order our proprietary blend of epoxy for your DIY projects. Visit our epoxy shop here!